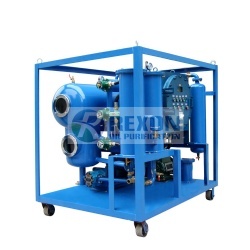 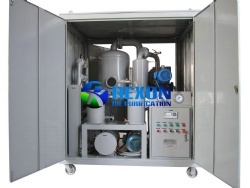 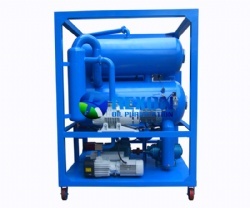 Transformer Oil Filtration Plant and Insulating Oil Vacuum Process Purifying Machine Model ZYD-100(6000LPH) is mainly used for purifying and maintaining transformer oil cleaning. 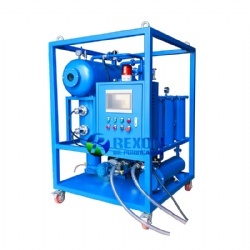 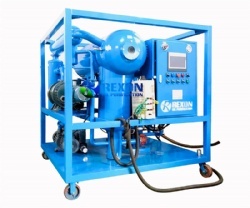 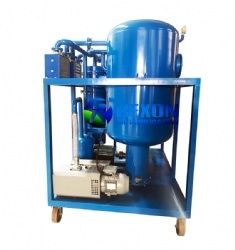 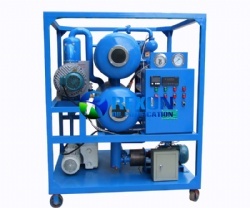 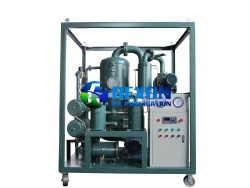 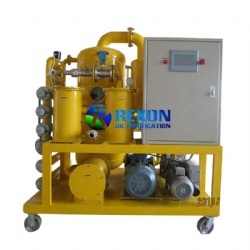 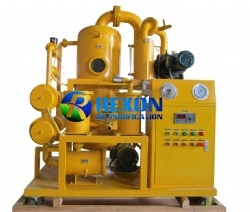 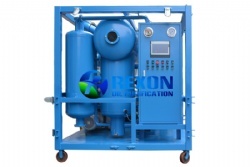 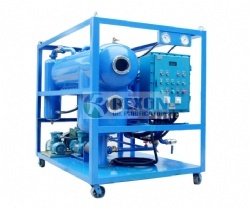 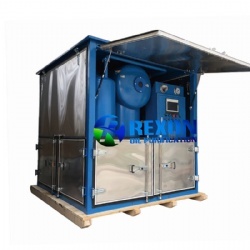 Rexon ZYD Transformer Oil Filtration Plant and Insulating Oil Vacuum Process Purifying Machine Model ZYD-100(6000LPH) is mainly used for electric power department and industries to deal with various oils such as transformer oil, mutual oil, switch oil, insulating oil, dielectric oil and so on. 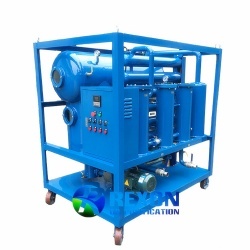 The transformer oil purifier machine is especially for purifying the insulation oil in all kinds of large power equipment that are above 110KV, especially for the altitude is over 500-1000 meters. 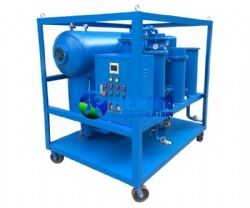 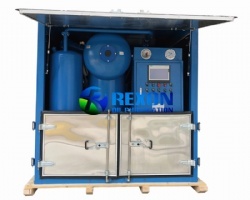 Our transformer oil filtration unit can remove the free and dissolved water, gas and particles from oil high-efficiently, and improve dielectric value of treated oil to be higher than 75~85KV, and increase the pressure force and quality of oil, make sure the electric device running safely. 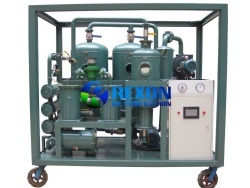 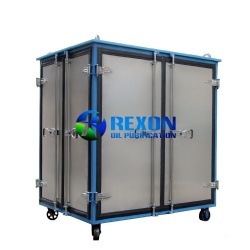 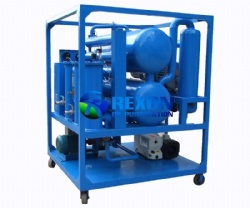 This oil purification system is very suitable for the large power electric equipment and transformers. 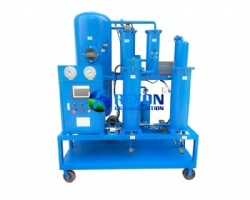 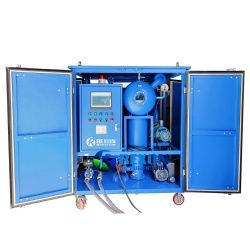 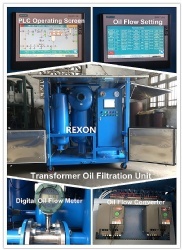 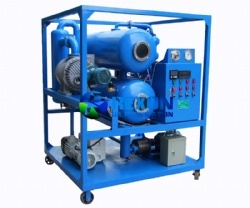 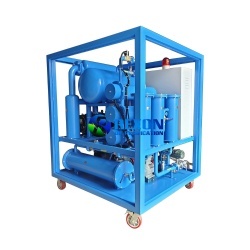 Series ZYD Double-stage transformer oil filtration system can quickly remove water, trace water, dissolved gas, particles as well as acetylene, hydrogen, methane and other harmful ingredients from oil effectively to improve oil's dielectric strength, effectively making sure electric equipment working safely and normally. 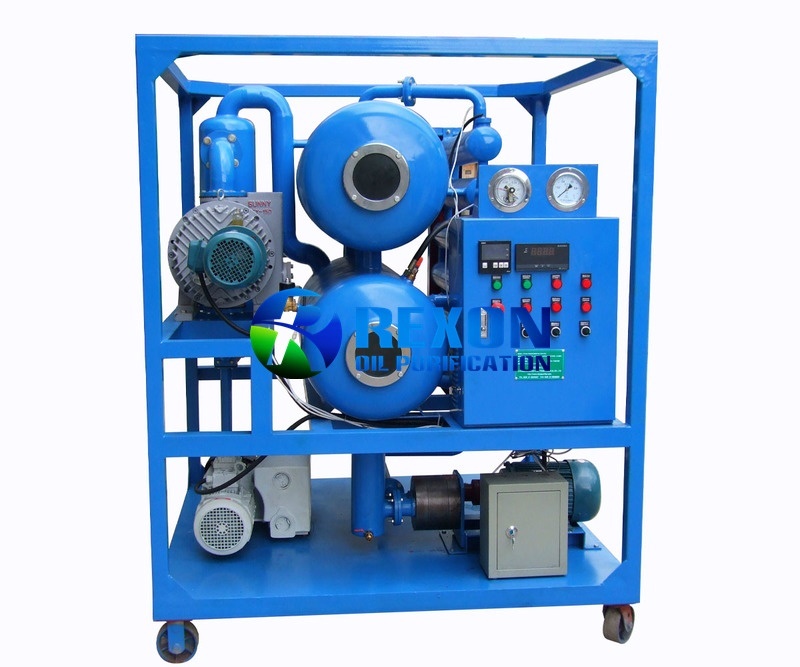 As the bridge-type vacuum linking system that also can be an independent vacuum power supply, which can vacuuming and oil injecting for electric insulation devices.